For over 30 years, RestorationMaster has been a trusted provider of environmental consulting and disaster restoration services in Leesburg, FL as well as the surrounding communities in central Florida. We provide complete restoration services for commercial and residential properties using our own in-house resources to help keep the restoration process convenient and affordable. We employ a complete staff that includes IICRC certified technicians as well as licensed general contractors who can effectively assess the damage from a disaster and form a complete restoration plan. Our technicians use only the best equipment and cleaning products available, as well as proven restoration methods, to restore your home or business to its original condition after a disaster. RestorationMaster provides a range of disaster restoration services that include water damage restoration, fire and smoke damage restoration, mold remediation, deodorization, content cleaning and pack-outs, emergency board up services, reconstruction, and biohazard and trauma scene cleaning. As an environmental consulting firm, we can also identify environmental issues that cause property damage and stop them at the source. The owners of RestorationMaster take a hands-on approach to our daily operations as everyone from our owners to our technicians make it their personal responsibility to provide the best possible results for our customers in their time of need. RestorationMaster is available 24 hours a day to respond to your disaster restoration emergencies in the Leesburg, FL area. Excess water is the most common cause of property damage in homes and commercial buildings and it can have a devastating impact if you do not react to it quickly enough. 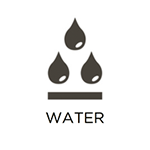 There are many potential sources of water damage from flooding and adverse weather conditions to internal leaks and overflows. Ignoring water damage is dangerous because the excess water will spread through porous building materials and eventually cause serious structural damage in your home. RestorationMaster provides water damage restoration services in Leesburg, FL to remove excess water and moisture from homes and commercial buildings. We use state-of-the-art water extraction and drying equipment to restore affected materials, and we will also locate and repair the source of the damage. The threat of a fire in a home or building is terrifying because they can happen virtually any time and wipe out much of your property very quickly. If the fire itself isn’t destructive enough, the secondary damage caused by soot, smoke, and corrosive byproducts is often more extensive. It is crucial for you to first get everyone out of the building and call the fire department to immediately extinguish the fire. 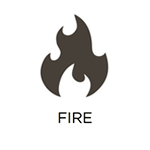 Once the fire is out, you must call for fire damage restoration. RestorationMaster provides fire and smoke damage restoration services to help repair and restore homes and businesses in Leesburg, FL that have experienced fire damage. Our technicians understand how to reverse the effects of soot and corrosive byproducts and we will effectively repair damage caused by the fire. When natural disasters occur, there is a good chance that they can leave behind unpleasant odors in your home. Water damage and mold can create musty odors while smoke from a fire can penetrate porous building materials that absorb the odor. Foul odors must be removed at their source which is very difficult to do without the right equipment. At RestorationMaster, we have the expertise and equipment to effectively remove odors from homes and commercial buildings in Leesburg, FL with our odor removal services. We use advanced deodorization methods such as air purification and sanitization to effectively eliminate all types of odors. Indoor mold growth is a common issue because mold spores are a natural presence in the air and they just need an area with a moisture source to grow. However, the presence of mold in your home or building is dangerous because it will slowly cause very serious damage to the affected surfaces, spread to new areas of your property, and increase the risk of mold related health effects. At RestorationMaster, we use advanced equipment and cleaning methods to provide effective mold remediation services for homes and businesses in Leesburg, FL. 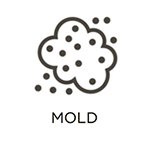 Our mold removal methods include antimicrobial applications and air purification to completely eliminate mold and prevent it from returning. It is almost impossible to contain the damage of a natural disaster enough to protect your personal belongings from being affected. Flooding, fires, and mold can each cause significant damage to your personal items, and many of your items are at risk for permanent damage unless they are cleaned and restored quickly. RestorationMaster understands the urgency of cleaning and restoring your personal content which is why we provide content cleaning and pack-out services as part of our overall disaster restoration in Leesburg, FL. In some cases, we can handle the content cleaning and restoration in your home, and we also offer pack-out services if your home is in left in an unsafe or unstable condition. Many natural disasters including storms, fires, and floods can result in significant damage to the exterior, roof, and structural elements of your home. When this happens, the home is left in a dangerous state because rain and vandals can get inside and worsen the damage, and severe structural damage can eventually give way to collapse. RestorationMaster can secure and stabilize homes and buildings that have sustained heavy damage with our emergency board up services in Leesburg, FL. We can effectively board up broken siding, roofs, doors, and windows and secure the structural integrity of the building until it can be fully repaired. Experiencing extensive property damage from a natural disaster is a very difficult and frustrating ordeal. It is easy to be overwhelmed by the volume of the damage and there is a good chance that the repair process will disrupt your daily life or business activities for days or even weeks. RestorationMaster understands the stresses and concerns homeowners have in these situations which is why we provide straightforward reconstruction services in Leesburg, FL. 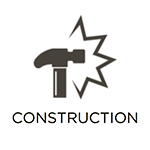 Our construction crew will fully assess the damage and create a construction plan to complete the repairs diligently and effectively without involving any other contractors. It is difficult to predict or prevent certain tragedies from happening such as accidents or violent crimes. If such an event happens on your property, you must know how to react to keep yourself safe. 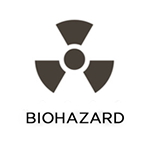 Biohazard materials like blood and bodily fluids are usually found at the scene of an injury or death, and attempting to clean them up is extremely dangerous. Once you have alerted law enforcement and EMTs in the event of a tragedy, you will have to call a licensed professional to clean up the biohazard materials. RestorationMaster provides biohazard and trauma scene cleaning services to clean and disinfect scenes contaminated with biohazard materials in Leesburg, FL. Our technicians will clean up and dispose of all biohazard materials, and we will fully disinfect the scene to prevent the spread of disease or infection.